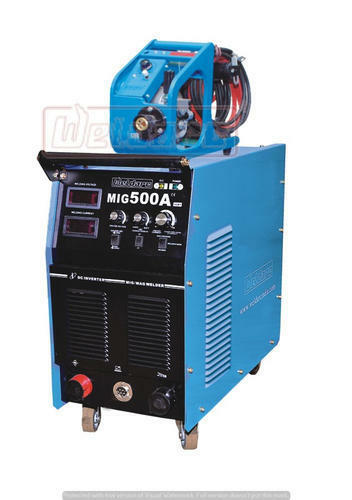 Our company has successfully achieved the leading position in industry by producing, supplying and exporting a technologically enhanced range of MIG Welding Machines. The range we offer is assembled with utmost precision keeping the specific demands and requirements of customers in mind. Also, we have adopted specific quality guiding principles, which are recommended by the industry, in order to maintain it in the whole assortment and ensure supplying only flawless range at our client place.